McDonald’s is hosting a new contest that will reward lucky winners with the McGold Card. The card is valued at $52,350 and entitles the winner to two free meals per week for 50 years. The contest starts today (August 10th) and runs through August 24th. To enter the contest, consumers must use McDonald’s mobile ordering system. According to the contest website, users place their order on the McDonald’s app, pay using any major credit card, and once the meal has been picked up at McDonald’s, customers are automatically entered into the drawing. Those who want to bypass the app can send an email entry to entry@amoeentry.com with the subject as the date the email is sent, and the entrant’s first and last name in the body of the email. The limit is one entry per day -- regardless of method of entry. “One potential winner will be selected from among all eligible Entries received for the entire Entry period, in a random prize drawing on or about August 29, 2018, conducted by an independent organization selected by Sponsor. The odds of winning a prize will be determined by the number of eligible Entries received,” the contest’s official rules read. The winner not only wins the McGold card but will also receive a custom gold-plated phone case. 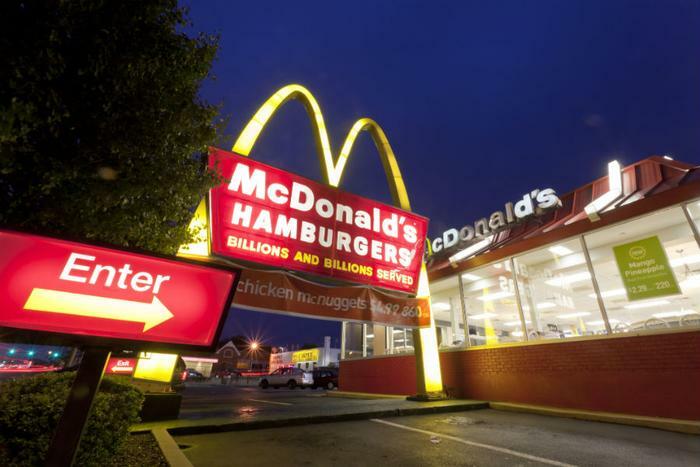 Despite the contest’s intention to bring more traffic to McDonald’s mobile app, there are some that think it will end up being nothing more than a failed marketing tactic for the fast food chain. Despite that criticism, McDonald’s appears to be following in the footsteps of similar contests run by both Starbucks and Taco Bell. Starbucks recently ran a contest -- Starbucks for Life -- that ended in January. Five winners in the United States won the grand prize, which was worth $56,675 each. The winners were entitled to one free beverage or food item of their choice every day for 30 years. Back in 2014, Taco Bell ran the Eleven Everlasting Dollars challenge, which gave customers a 1 in 2.4 billion chance of ever winning. However, 11 winners won the prize that was worth roughly $11,000 each.